Find Out About Important Changes! – North American Baptists, Inc. Hear from Moderator Harry Kelm as he discusses proposed changes to the NAB Constitution. A draft will be presented to the delegates* at the 2018 Triennial Conference and put to a vote. The following link will direct you to a short overview of how these proposed changes came to be, a draft of the 2018 revisions of the NAB Constitution, and the existing NAB Constitution: https://nabconference.org/triennial/2018-draft-constitution-revisions/. The call is limited to the first 100 registrants; however, two more conference calls will be scheduled for future dates. A confirmation email will follow with calling instructions. *If you wish to be recognized as a delegate to the 2018 Triennial Conference, register today at nabconference.org/triennial/. If you have already registered for Triennial but did not indicate your wish to be recognized as a delegate at that time, you may change your registration now through the modification link provided in your registration confirmation email. Please take some time to pray for our NAB missionaries who are scattered across the globe! They recently sent in their latest updates to share with the NAB family. Please click below, read through them, and pray for our missionaries. Keep up to date on what’s happening with our missionaries by going to nabonmission.org/missionaries. Tony Campos, Casa de Luz, Sacramento, California. Casa de Luz is a Hispanic church reaching the immigrant families in the community around them. 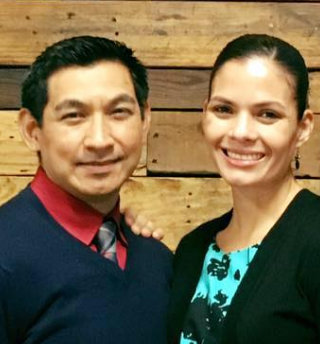 One of the fruits of the relatively recent addition of an English service is a new church plant in Patterson, California, which launched on April 1 of this year. Pray for a couple of exciting opportunities to support a couple large churches as they start Hispanic ministries. Also pray for a group of people who are seeking to join Casa de Luz in future ministry in Stockton, California. Above all, pray Casa de Luz will shine the light of Christ in the midst of the dark places in the neighborhood where God has planted them. For more information, check out www.casadeluz.net.